Have you or a loved one suffered from loneliness or social isolation during the aging process? What, in your opinion, is the most helpful intervention for reducing isolation? Join the discussion in the comments below. May I suggest you contact your County’s ‘Adult Protective Services’ (APS), explain the situation, and ask them what they can do to help…and what they can suggest you should do. I’m concerned your father may be experiencing serious cognitive decline and he will require an assessment. Please take this basic action to begin the rescue of your mother from this abuse. I hope your parents live in a county where are people and programs to help them/you. In my county, APS will take your report and keep your name confidential. They will visit your parents’ home and act from there. I hope your mother will be honest and forthcoming with APS regarding her situation. My grandmother ended up in a nursing home when her Alzheimer’s became so advanced that she could not walk any more, and my grandfather and I could no longer care for her at home. It actually turned out well. She was prescribed medication to calm her agitation, which I believe was caused by the fact that she could not communicate what she wanted to a lot of the time (difficulty remembering words). She enjoyed having the other residents for company. It was a very small home, and the residents who were more astute mentally tended to look out for those like my Grammy. One thing made me both sad and angry, though: the fact that the families of many of the residents NEVER VISITED THEM. My Grampa and I saw my Grammy every day. My Mom visited at least 3 times a week. Other family members visited at least once every month. My son flew in from North Carolina to Massachusetts to visit. Several times. My brother only went to see Grammy once. “Oh I can’t take it seeing her in that awful place” yada yada. I told him he was a selfish SOB, slapped him across the face, and informed him that I would be taking his 2 young sons with me to visit. My nephews loved going to see their great-grammy. All the residents fussed over them. They organized wheelchair races in the hall, helped do puzzles, and informed the residents that “it’s not hard to cheat at Bingo”. It was great. I have absolutely NO patience with people who don’t visit elderly family members in nursing homes. Oh, you can’t stand it – like my brother- well, guess what, IT’S NOT ABOUT YOU. It’s about honoring and loving the person who loved you from the day you were born. This is all interesting. I have a very difficult 80yo mother. We had a very disfunction family growing up. My stepfather was 12 years older than my mom. He’s gone and she’s very lonely and depressed. We do not live far away, but neither my sister and I want to deal with our mother because of how difficult she is. When she wants something, or wants us to help her with her computer or anything, she wants us there NOW! And if we don’t come immediately she gets angry at us. Tells us how rotten we are, how lonely she is. All my life my mother has gotten on me because of my depression and loneliness. No sympathy, nothing. “Get over it” she said. Do something. I tell her the same thing. There are senior centers. You can get free computer tutorials. She doesn’t want to do any of it. She says she doesn’t need anyone and is happy on her own. But she complains because she has no “family”. Nothing us kids do is right so what’s the point of helping? I call her every day and get the list of what my sister and I do wrong, or not enough of or, whatever. It makes it hard to want to do anything. Here, Here! I am 62 and I have nobody. Seema Vijayi have thrown light on the very crucial aspect which a major crowd of senior age group are suffering from as isolation is a very complex social issue.. I have read this article regarding senior isolation on the hubpages. This is a problem that most social agencies and senior activists don’t want to address. Many seniors are isolated because their communities and neighborhoods changed very rapidly around them. This is especially true in places like the SF Bay Area. My elderly parents are still in their home of 40 years, but of the dozen homes immediately around them, only one is English-speaking. My mother has attempted to het to know her neighbors, but it is not reciprocated. People are afraid of being labeled for expressing their feelings of isolation and depression that result. Why are you not getting her out of there? For heaven sakes, how long are you going to watch her being tortured? Are you and your sister not capable of helping her? And why hasn’t she seeked help on her own? No matter what the reasons are that he is acting the say he is, they are NOT excuses. He could have gotten help years ago concerning his childhood and his own issues, instead of making it an excuse to be abusive to others. Yes, I know the pattern, abuse begets abuse, begets, abuse, and on and on…Believe me, I know what it’s like to be tortured as a child, but you go get help for all the anger. Nothing is going to change for your mother until see leaves. A question? Are any of you old and alone? Unless you are in the situation, and living it, it’s pretty hard to understand. It’s like everything else……”walk a mile in my shoes”. You know, I do get out on trips. I walk more than any other resident here, and I am more active than most. I keep myself busy just because of this reason, but how does that make up for being totally isolated whenever there is a holiday and everyone is sitting with their families except me? No matter how you cut it, if you have nobody, you are basically alone. I speak to people, I do things with people, but we don’t go out together on “special” luncheons and dinners like you would your family. It’s just hard, no matter how you slice it. I have had some people tell me that I can be “their family”, but I hate to hear those words because in the long run, you just end up getting hurt as you realize you really are not family. I had a companion dog, I have had dogs my entire life just because of this, and it helps with the depression. But my little one passed away just two months ago, and now, living in this assisted living place, and especially where I live (Brighton), there are NO low cost vets here. So I find myself not being able to get the ONE THING that helped me more than anything else (I’m an avid animal lover) because I can no longer afford the entire vet bills. When I lived in Denver, they have low cost vet clinics all over the place, but there are none here. And the other problem is, I can’t go to Denver to take a pet to the vets because the facility I live in will only take us in the surrounding areas, and there is no way I could afford a cab. So, along with basically having no family, I also lost the best friend in the world and I am at a time in my life where I am not in a position to replace her. I have put my feelers out (I used to do rescue work) that if anyone has a small dog that they HAVE to get rid of but don’t really want to, and wants to continue to visit them, I would take them if the person or people would help pay the vets bills for the life of the pet. But this is a pretty far fetched wish, we’ll see. Not necessarily! Keep an open mind and heart! In any event, whatever happens – you won’t be alone! There are a whole bunch of us boomers out here!!! I’m 65 and live in an assisted living community, yet I am now lonelier than ever. I have no family, and I had to move from the area I’m used to living where my friends were. Even though I’m in a community, it has become worse and I am isolating more and more. The problem is, when I lived alone, I didn’t have to be exposed to all these people greeting their families for dinners and holidays, and just to visit. It becomes unbearable at times. I get to where I don’t even want to leave my room because all the family members of the other residents seem to like me so they say “hi” and speak to me, yet I know they are not here for me, they are here for their own families. It hurts, and it’s getting worse. And yes, my health, since living here, does seem to be declining. We provide you senior citizen insurance leads. Seniorsourcelist offer best senior database and any other information visit at our website. I wish I had a senior like myself that is lonely we could share expenses in the house and keep company ….if we want to be alone we. Can just watch TV in our room or Dont talk I’m very easy to get long with …. Are you talking to me …..to move to the next life nogattaca????? Thanks for sharing this comprehensive list, Sarah! We included your article in our monthly roundup, which is about effective tips on growing old and alone. You can read our feature here: http://www.altcp.org/strategies-growing-old-alone/. Hope you can visit and let us know more about your thoughts on the subject. Yea, I am on the same track as you when it comes to senior groups. I stay active with music and sports and they do not line up with all my interests. I am very independent like you and do my own thing, which has been working great for 9 years now. That is a tough question. I guess that is what Medicaid is for. You just will not get your choice of where you will end up. We are all in the same boat. Very few people can last very long at $9000 a month. Yea, when you retire you need to have several interests to keep you busy mentally and physically. Maria, you have it all going. Music and sports is what keeps me very active mentally and physically. Sitting on a coach and watching TV 14 hours a day is not for me. I know many that is all they do. As a man who has been married 3 times and now single at 69, I would say I enjoy my own company and would rather do my own thing than be with a person that you are not happy with. Nothing worse than being married and you come to find out, down the road, you can not stand each other. I am an outgoing person and I take trips by myself and meet people. Play a lot of golf and ski. I also sing for senior citizens in Nursing homes and have many good friends. I would never marry again for fear it could be another mistake. We all have to learn to love ourselves and do special things for ourselves. I do have a lady friend that lives 50 miles away, but, we are just friends and neither one of us wants to get totally involved with the other because we enjoy our own lifestyles the way they are. I have had enough drama in my life to last a lifetime. Stay positive all you single people and try and find a hobby and connect with someone on the outside, to be friends with. I have nobody I am alone I will be alone for Christmas I wsd alone for Thanksgiving my daughter curzzed at me and deserted me …I have no one …. Suicide is a possible solution. If you’re alone, ill, running out of money, can’t take care of your dwellings or yourself, what is there to live for? The nursing home with instant potatoes and bingo? communication tool that is now available to seniors and their family members. or many different fees from different providers. It’s a one stop package deal. stave off the loneliness that so many seniors are suffering with unnecessarily. We can’t say enough great things about this product! I am 65, divorced 9 years ago, have three adult children, I see two of my children once a week . The youngest lives out of state and married with children so for them, only about twice a year….. I have severe COPD , 38 percent lung useage and on oxygen…..feels at time my COPD controls my life where I find myself going on self pity trips. I have no car now and live in a small town where buses only run Mon to Friday, 8:30am to 4pm, going only to the medical center and stores. I read, do some art, watch tv. and have become an expert in the field of napping..most times, not even trying…..my cat is my company on a daily basis, People where I live (Senior Citizen apartments) are not social….everyone pretty much sticks to themselves with the exception of a hi how are you in the hall….except for two busy bodies who I swear are conjoined at the hip, as they navigate the halls and lobby side by side near 24/7……I look out the windows at the cars passing by…snow, rain…..wondering how I got to where I am today? Do I have regrets? A few…but only that i wish I had known who I was at an early age….so I would of known who not to marry. and expected better for myself…I never realized one day I would feel the way I do…when young, my mind seemed to believe 30 was forever….never was I prepared for this….and much of the time I sit and think about my demise…..when, how and where? But I am “here” and that’s what is important now….so I so what I can, when I can….and try to accept this only a part of living…..which am surely is better then the end. Time to make peace with it and move on to the next life. There is but one dark cloud in the life of those who live alone. There will come a time when one will become immobile and therefore unable to take care of oneself. Mixing with the wrong company can easily mess up your life! Perhaps that’s why so many people nowadays prefer to go it alone! Thank you for sharing, Zack. Linda, did you write, “…who … is a worthless druggy”? What is it that makes one human being “worthless”? And who among us is qualified to judge the worth of another’s life? It’s ironic to read in a therapeutic setting catering to a community that’s very often alienated and devalued … the devaluation and ostracization of others. Interesting article/list. I would have very much appreciated the citations from the professional literature for each of the above points. 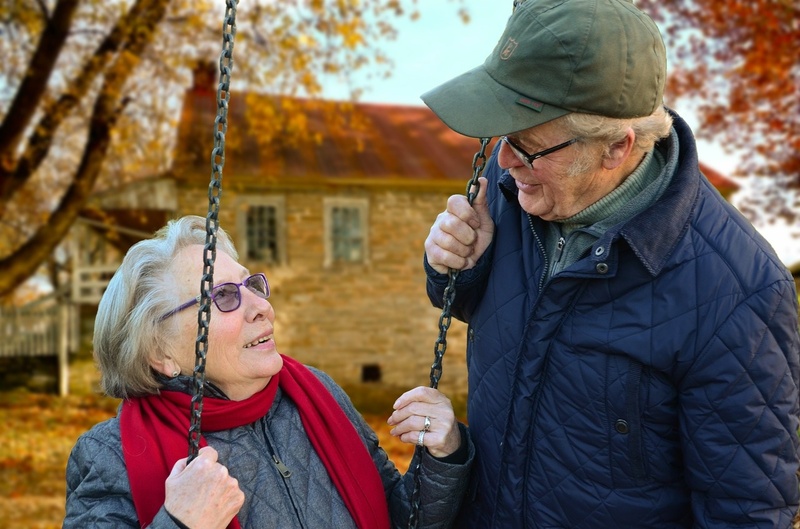 Senior isolation is definitely a problem, and according to a recent study from the NIH (National Institute of Health), it’s actually *common* (i.e., nearly more frequently occurring than it is not) among seniors aged 80+. Being an entrepreneur, I invented a low cost solution to this problem. I created a service, “Gold Companions”, that provides a daily companion via telephone calls. Together, they can share stories, discuss daily news events, and keep a phone correspondence. If you have a senior in your life for whom you are struggling to provide affordable care, feel free to reach out to me directly and we can negotiate a discount if you are in financial need. We are committed to addressing this problem, in the American way: through enterprise. Our website is http://www.goldcompanions.org and my personal website and contact information is http://www.zackburt.com. Thank you. Thank you for sharing! We appreciate you reading. didn’t quite finish the last sentence .. .the point being choice is the defining characteristic of Quality of life Perception .. . . to the person affected. I am a 73 yr old artist and i live on a farm which I still semi manage. my daughter and her family moved back 3 years ago and live in the main house . My husband has been dead for 16 years and I have always been comfortable in solitude . .. just my nature I guess. Several years ago, after running a bed and breakfast and wedding venue to pay off bills after my husband’s death, I decided to focus on getting my studio into a permanent status. Its in an old corncrib and was my husbands woodworking shop. Initially I shoved a few big pieces of equipment aside and set up my easels, bought a shop heater to replace woodstove (2nd floor space) and puttered on happily for 2 -3 years . As I approached a point where I had paid off all the bills that showed up and that I incurred opening up a business .. . I thought more seriously about my living arrangements and realized that I didn’t want to knock around a big old farm house. I stayed with the B & B/wedding venue 11 years and that got me free and clear financially. Now, I could use the house to rent out to a farmer who could do the work around the farm and that meant I needed to think creatively about where I was going to live. It seemed a natural step to me to fix up the studio. The barn was full of 2nd hand projects that were “meant to be” refurbished, fixed, used, etc” and it never happened so I had my pick of furnishings, antiques, etc. for my space which is a whopping 24 X 40. I picked out what I needed (not much) and sold the rest. I have found that the desire for “stuff” fades quickly as you age so nothing I put up here in my “apartment/studio” was purchased new except a small refrigerator, an AC unit, and a toaster oven. My space is 960 sq ft. OF that, 18 X 24 (432 SF) is my studio and that leaves me 525 SF of living space. i have kept everything I can off the floor so that its easy to clean and not much to trip over. My farmer Idea never materialized because my daughter is now living in the house with her kids and is in the middle of divorce. My studio life I find has to be guarded carefully or else I fall into the “mom” and “gram” roles and that easily can turn into a full time position.. . . which I don’t want. Love them all but want and need my life too. . .I’m the one who’s running out of time. So can be tiring if I don’t keep my boundaries and parameters straight. I think in some instances “socializing” is Assumed to be necessary and sometimes forced on people. Older traditions around the world acknowledge and support a different perspective that the last decades need to be about introspection, self fulfilment and contemplation. The business of the world is and never has been my cup of tea. I haven’t had a TV set for past 40 years and am none the worse off for it. Indeed I feel I spare myself the stress of all the fear mongering and anxiousness that seems to dog the general population who are daily given a diet of things to worry about. If something occurs “out there” that is of a concern to me or interests me the computer can connect me to the ideas of issues of my choosing. The days are far too short to accomplish all that I do and want to do. I am fortunate in that respect because i know that is not the case for many seniors who live in places not of their choosing, in company not of their choosing and who are financially distressed and experiencing serious health and physical well being issues. While I live simply I am certainly not poor. I have limited resources but I also have my family to fall back on if circumstances change or deteriorate for me. Its like college kids who kick around South America or go in the peace corp after graduating. They live like people who are ACTUALLY poor and they experience and become familiar with the problems which attend poverty but they themselves are not actually haunted by the reality of poverty. Its a temporary circumstance which they have chosen and from which they can extract themselves at any moment. Big Difference. Same for me .. . . The defining issue is choice. .. .. for all the issues that confront the elderly population . . . .health, finances, living situation, etc. And the choices needn’t be huge to increase or improve quality of life. Think of the last time you spent time in a hospital or a restricted situation of any kind. Not being able to walk over to a refrigerator and open the door …. NASGA (National Association to Stop Guardian Abuse) is an organization of victims and families seeking reform of unlawful and abusive guardianships and conservatorships. The number one complaint of our membership by far is wrongful isolation of guardianship/conservatorship wards by their court-appointed guardians/conservators. NASGA has teamed up with the Catherine Falk Organization to introduce and pass a bill to ensure the continued right of association between guardianship/conservatorship wards with their family, friends, advocates and even clergy. Every human being should have the right to decide who they want to visit and associate with — or not. Nice post. I live in a community with a diverse span of generations – lots of ruthlessly independent folks older than 65. Many are widowed, do not work, but are highly educated and active all of the time. They are active in community charities, theater, taking care of their homes and yards, engaged in the beauty outdoors all around them, and have routine dinners/social events that keep up a healthy exchange of interactions, opportunities to meet new people, etc. They also go on annual cruses all over the world (lucky of course that they can afford to do that) I am glad my wife and I have been exposed to these wonderful people as they have set an example of who we want to be as we age. I am 75, surviving deadly diagnosis for the 14h year now. my mobility and need for Oxygen therapy only diminished in the last 3-4 years. I am probably the exception to what happens to most elderly who live alone. I would not have it any other way. I entertain myself, I read, I am an activist (for Bernie Sanders), I am on FaceBook and Twitter. Poetry is my favorite, but I also play music. There are not enough hours in the day for me to either be bored, or lonely, or isolated. But then it comes in handy that I speak many languages and communicate with friends and family all over the world. It comes in handy that I am a physics teacher and know about leverage, electronics and computer-savvy. Now that I look at what I wrote, I can confidently say to you, that it matters that I am well educated and have a lot of skills. This is what I would add to your write-up: Do not forget the role education plays even in this sorry setting. I interact with my mother as a matter of formality, not because she’s a great person to be around. I block out all the negativity and do what I have to do, the only other recourse being to ignore her completely. She is not yet 60, is fully mobile but how you describe x–mom-in-law more or less captures what my mom is like now. Don’t waste time explaining yourself, you’ll only attract more haranguing. She doesn’t have to appreciate you. You do what you must do (groceries et cetera) and push-off at the earliest convenience till the next time. Unless she sics authorities on you, you’re all right. It’s not being cruel, it’s being practical in an impractical situation. On the number 4, reporting doesn’t help because nothing is done. This will be the 2nd Christmas that has passed where I have not been allowed to talk to my mom during the holidays. My sister has her sequestered and will not allow contact. PLease go through this piece as well sir. Look at this article which may answer many of your questions. Loneliness is unfortunately such a common problem for the older generation. I’ve been helping my father adapt to mobility issues that have contributed to his loneliness and depression. Fortunately, through – http://www.gloe.uk.com – I was able to find walking sticks and The Silver Line Helpline to help him cope. It’s very important that the elderly feel part of the community, and helping my dad move around more easily and talk to people more easily seems to have helped him. At 67, my children have their own lives, and I don’t expect them to give up their time for me. I live alone and I enjoy the independence. I’m a pro quality sports photographer at my local high school. This is my way of keeping active whether they like it or not, jk. The community appreciates my work, and some of my photos have been highlighted by the school and public, which is welcomed. I volunteer for popular high traffic events, and I travel to Europe one month at a time where I go out of my way to meet my old exchange students I have hosted. I use my camera to document the trips so that I and others can enjoy the trips later. I will not sit around and be isolated as that is a death sentence. Keeping active and feeling part of the community give me the reason to be alive. LGBT…As a lesbian at 61, living a lifetime as a lesbian in Northern California, LGBT came from San Francisco in 78′ @ the Lesbian, Gay, Bi-Sexual, Transgender Parade. Prior to that time it was called the “Gay Day Parade”. In 78′ Prop. 6 was on the Ballot, “the firing of Homosexual school teachers, and/or anyone who advocates, solicits or promotes Homosexuality in their public or private life” brought to us by a bigot, Senator Briggs. We had Anita Bryant and “Save Our Children” champaign ! “Come Out Come Out where ever you are”…….and we did !!! It has been LGBT ever since. This is why I think groups like Friendly Conversations LLC are so important. We are listening when needed most. 1(888)251-1634 http://www.friendlyconversationsllc.com. In case you havent heard of us, we provide that human interaction that people are missing. We provide appointments scheduled or unscheduled just to talk about whatever, afterwards we send a wellness update to a friend or relative no details on conversation its only to address safety concerns. identify issues around caregiving and to provide solutions. The point is, whether people are along but there are no chronic issues or people have chornic issues, it does not preclude you from living your life. What we all need is “a little help from our friends.” (from the Beatles song). I notice, all the time when I am shopping, traveling, or at get togethers that there are people who are accompanied by someone who helps them or they are in canes, walkers, wheel chairs. Whatever the issue, most people are able to be with other people if they have assistance. there will be people who are crumdegeons and I believe nothing will assist them. People who love other people, people who have interests in life, people who have people who care about them will figure out how to keep them involved in their lives. I advise myself and others: if you are having symptoms of depression, not sleeping well, or you feel that that you are overwhelmed with life issues…..talk to a mental health professonial. Families should contact geratric care professionals to help them with how to sort through issues when a person is not able to make informed decisions. If people own a long term care plan, they or family should contact the carrier who will provide care support with no fee. Or for a fee conact an independent geriatric care advisor. People tell me that getting old isn’t easy. I comment, yes it is — I became 65 with no problem. The challenge is that my body needs more maintenance and life brings disappointments. When this occurs, I get help and work to make my body and mind as functional as possible. I may seem a little angry based on my comment below. I am angry. I spent the last 6 months dealing with a corrupt system. My mother had Long Term Health care insurance with Mutual of Omaha. It was a policy that she used her hard earned money to pay for so that she could be taken care of by “professionals”. Everything seemed to be going fine in August of 2014. The rep at MOA said “no problem, she sounds like a good candidate” Then we found an assisted living (Brookdale) and the sales rep said “no problem” most of the elderly in our assisted living don’t need to be there but they have insurance for it so we make it work for them! Lie, lie, lie, lie. Everyone is a liar! Like a fool my sister and I believed all of these people. I moved her 4 times since August believing what everyone told me. spent over $25,000 of her money thinking that her long term care insurance would kick in. I could have taken care of her myself and spent most of the time doing just that!! (Assisted living centers don’t do anything and don’t care anyway. they just bring pills and call the ambulance when things get too tough to handle. ALL ASSISTED LIVING CENTERS ARE A WASTE OF TIME AND MONEY!!! ALL LONG TERM HEALTH CARE IS A WASTE OF MONEY!!! THE Only Organization that helped my Mother was “Vitas” a Hospice based organization that travels and took care of her 2 weeks before she passed away. You can take care of your own parents and have people come in to help you. Be very careful and get an attorney if you can find one who knows the difference between the truth and a lie. This doesn’t surprise me at all. Since this country removed the Bible from our schools over 70 years ago, we are now living in a post Judeo/Christian Barbaric Nation. The Media puts down our men showing them to be stupid or womanizing; Women are portrayed as emasculating gossiping whores, we tell our children to do what ever they want without disciplining them. And why should we care since we hate children. (57,000,000 abortions since roe v wade) A society that isn’t accountable to the true Living God(not the mediocre, tolerant God that the majority have invented in their pathetic finite minds), doesn’t care about anyone but themselves; why should they care about the elderly? If you are just a cosmic accident then eat, drink, and be merry, for tomorrow you die! !